Rexford Industrial Realty Spends $141 Mil on Ontario Biz Park - News - Resources - Allied Commercial Real Estate, Inc.
SoCal-based Rexford Industrial Realty Inc recently closed two industrial transactions, an acquisition and a disposition, totaling over $181 mil. SoCal-based Rexford Industrial Realty Inc recently closed two industrial transactions, an acquisition and a disposition, totaling over $181 mil. The larger deal was the purchase of Safari Business Center, a 1.14 msf project in Ontario, for $141.2 mil ($124/sf). Rexford also sold a 373.7k sf property in central San Diego County for $40.1 mil ($107/sf). Proceeds from the disposition were reinvested into the new acquisition through a 1031 exchange with the balance of the purchase funded utilizing the company's line of credit. Safari Business Center contains 16 buildings on 52.2 acres. 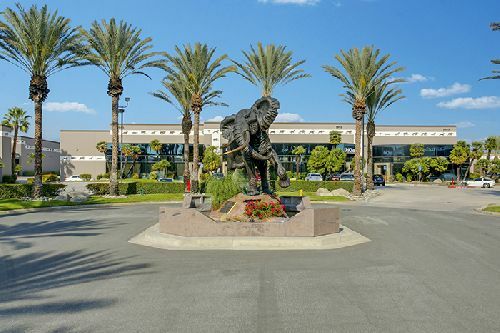 It is located adjacent to the Ontario Airport within the Inland Empire West submarket and is currently 97% leased to 75 tenants. In-place rents at the property are estimated to be approximately 17% below market, on average. The high-quality property is the largest multi-tenant industrial park in the sub-market and features market-leading functionality and high-image identity in a premier infill location. Spaces range from 7k sf to 36k sf with dock-high loading and flexible, low-finish floor plans, which draw consistent leasing demand from a broad cross-section of national and regional businesses. CBRE’s Darla Longo, Barbara Emmons Perrier, Rebecca Perlmutter Finkel and Michael Kendall represented the seller, Los Angeles-based ARA | American Realty Advisors. Jeff Bellitti and Mac Hewett of Jones Lang LaSalle are the leasing brokers on the park and assisted CBRE in the sale. According to CBRE, the vacancy rate in the 281 msf Inland Empire West submarket was 2.1% at the end of the first quarter, 2017. The San Diego property, at 2535 Midway Dr, consists of two vacant multi-story buildings. The property had been purchased in October 2015 for $19.3 mil, and was vacant at the time of the sale with substantial redevelopment near commencement. Proceeds from the sale were used in a tax deferred 1031 exchange to fund a portion of the Safari Business Center acquisition.